A new 3D imaging and computer modeling technique has shown for the first time that pancreatic cancers form in two distinct ways. Located behind the stomach, the pancreas plays a crucial role in the digestive process and is linked via a ductal network to the other digestive organs. It is within this network of ducts that the most common pancreatic cancers occur. Until now, it has only been possible to view these cancers in 2D slices, a method which was not able to fully explain the variety of abnormal shapes within the tumors. In a study published in Nature, supported by the European Research Council and with core funding from Cancer Research UK, the Medical Research Council, and the Wellcome Trust (all UK), researchers used biophysics to view pancreatic cancers in 3D for the first time. The collaborative team at the Francis Crick Institute (London, UK) analyzed 3D images and then created sophisticated computer models that were detailed enough to include the geometry of single cells. They found that the cancers formed in two distinct manners: they were either endophytic, growing into the ducts, or, if the diameter of the duct was 20µm or more, they were exophytic, growing outwards. The researchers then applied the technique to other organs and found that cancers in the airways of the lungs and in liver ducts also developed in these distinct fashions. 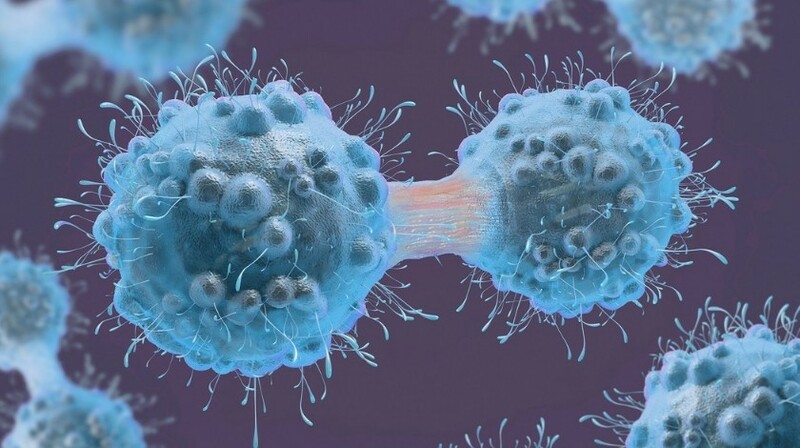 “Both the data and our models indicate that the two different mechanisms of tumor growth are purely down to the innate physics of the system,” commented Guillaume Salbreux, head of the biophysical team at the Francis Crick Institute. The researchers hope that their analysis technique of pancreatic cancer in its early stages will help to develop improved treatments for this disease, which currently has disappointingly low survival rates.